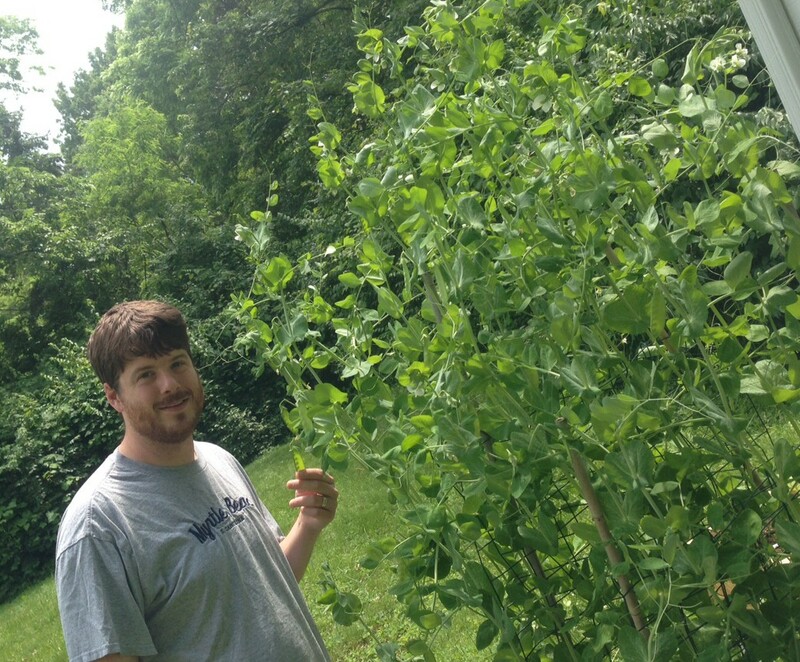 Our sugar snap peas got super tall this year — Matt is about 6 feet tall for comparison. Granted, they are planted in raised beds that are about a foot off the ground. But still, these suckers got big! We just harvested close to a hundred of these and the snow peas. Going to be a delicious side for dinner tonight!